When the battery on an ordinary engine is drained, you have nowhere to go. Not so with a Mariner 30hp FourStroke, which comes standard with a manual recoil starter. So even if the battery quits, you can take matters into your own hands and keep your boating trip going. 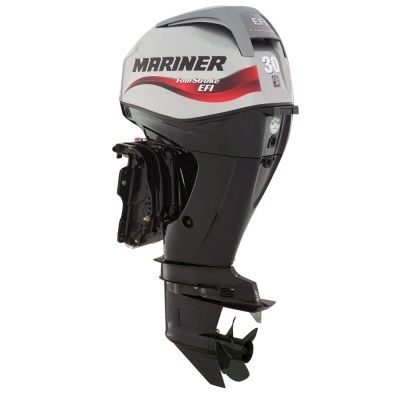 Battery-free Electronic Fuel Injection (EFI) on Mariner 30hp FourStroke models delivers consistently easy starting, crisp throttle response, increased fuel economy and outstanding overall performance. fibreglass fishing boat, the Mariner 30hp delivers the control, thrust and low speed control to make your boating experience as best as you can imagine. 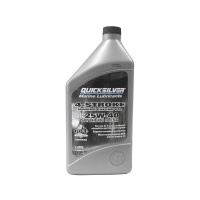 The 30 hp FourStrokes may be small on horsepower, but it is big on displacement. Featuring loads of strong, low end torque, these outboards have the power needed to get you up on plane with immediate throttle response and quick acceleration. Compact but powerful, Mariner 30 hp FourStroke outboards feature extra displacement and outstanding low-end torque that put a boat smartly on plane.